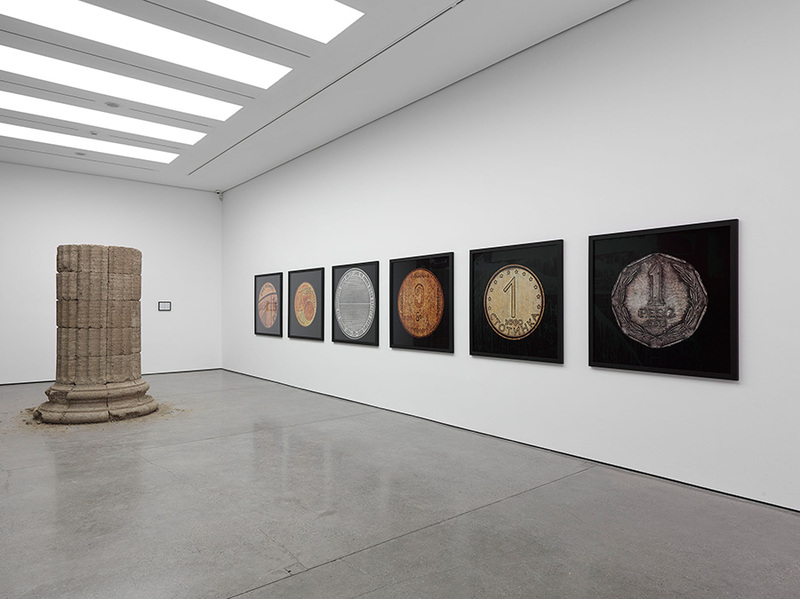 For Art Fetch, Charlie Levine goes inside the White Cube for a review of the current exhibition at Mason’s Yard. Like many curators, I have been hugely influenced by Brian O’Doherty’s wonderful and seminal book, Inside the White Cube, the Ideology of the gallery Space (1976). 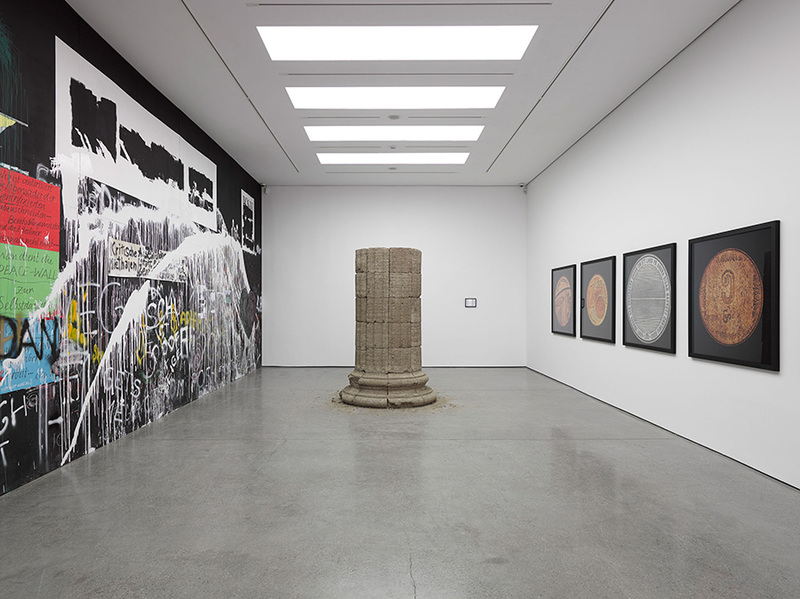 The book, which began life as a series of Artforum essays, defined new ways of thinking about exhibitions and the contemporary white walled art gallery. 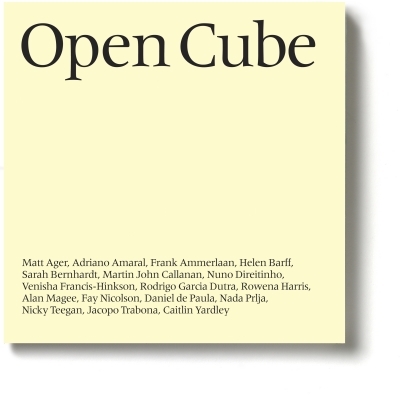 So, when I heard that the latest Mason’s Yard White Cube gallery exhibition, Open Cube, guest curated by Adriano Pedrosa, was inspired directly by O’Doherty’s book, I had to go and see it. I wasn’t disappointed. Not only is it a fascinating exhibition, but also reflects a great deal of what Artfetch believes in, and is working to achieve. The 17 artists in the exhibition were selected from an open call out for proposals – a brave thing for a gallery with the branded reputation of White Cube – as an open call invites a deluge. The gallery received over 2,900 applications, from which the curator interviewed 38 to select the final group. This process of deliberately working with artists new to the curator breaks down the idea of curator/artists networks, drawing its concepts from O’Doherty’s ideas about the ‘inside’ and ‘outside’ relationships of a gallery. The idea of opening up the application process and allowing audiences, the gallery and the curator to push themselves in terms of looking for, working with and presenting a new stock of artists is incredible, though only in terms of how top level galleries usually work. By this I mean, it shouldn’t be so unusual, and as I considered this, I began to wonder at how difficult it is for new artists to break into these ‘inside’ relationships. This relates directly to what we are doing at Artfetch, as we believe it is vital to open the processes of becoming an art world insider, so that talented artists can come to the publics who would otherwise not have a chance to see their work. And although internet–based, face to face meetings are a vital part of our commissioning process. If the relationship and quality of work is there, we invite the artist to work with us. 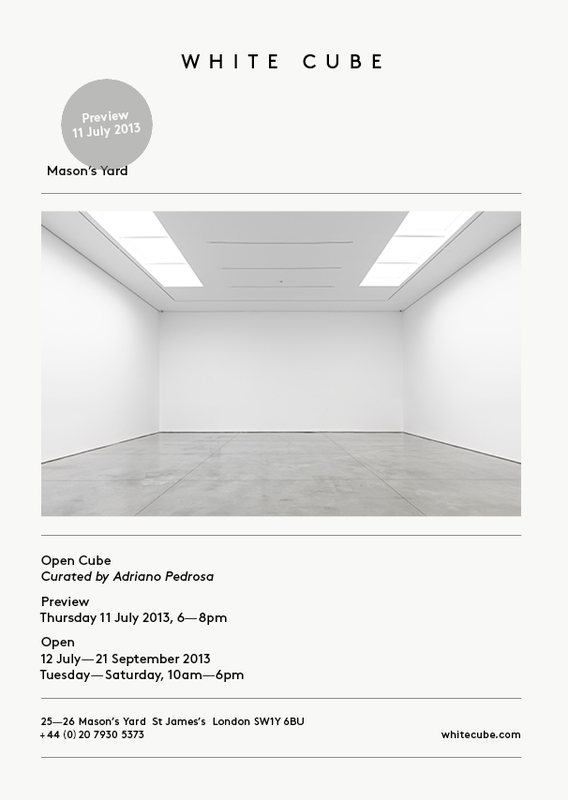 Open Cube itself is broken down into two parts: on the ground floor the exhibition concerns itself with commerce, value and currency; meanwhile, the lower floor of the Mason’s Yard building looks at different forms of abstraction: including constructivist and geometric, as well as organic, amorphous, and fluid types. Particular stand out works were by Fay Nicholson’s A is for Albers, a small stack of photocopied postcards, sliced in two by a sheet of Perspex; a series of large photographs of foreign coins by Martin John Callanan; and Jacopo Trabona’s Untitled, which was a simple few cuts on a sheet of paper made by slicing a diamond across it. But my particular favourite was Nicky Teegan’s Void a flat circle of woven VHS tape over a bent steel ring. It summed up the show for me: defunct material (the VHS tape) re–used to create a typical fine art image – the circle. It was creating something new and conceptual from the old and familiar. This exhibition is excellent, from its concept to realisation. It is a must see show that I hope is the start of a new way of thinking about artist/gallery networks, and about how we produce exhibitions and create new associations. The process itself also questions the role of the physical gallery space, as the open method of calling for, and selecting works, echoes the opportunities offered by the internet – something Pedrosa realises, as he notes his ambition for the show: to break down the “seemingly closed systems that exist in the criteria for staging exhibitions”. About time too. Artists: Matt Ager, Frank Ammerlaan, Adriano Amaral, Helen Barff, Sarah Bernhardt, Martin John Callanan, Nuno Direitinho, Venisha Francis–Hinkson, Rodrigo Garcia Dutra, Rowena Harris, Alan Magee, Fay Nicolson, Daniel de Paula, Nada Prlja, Nicky Teegan, Jacopo Trabona and Caitlin Yardley. 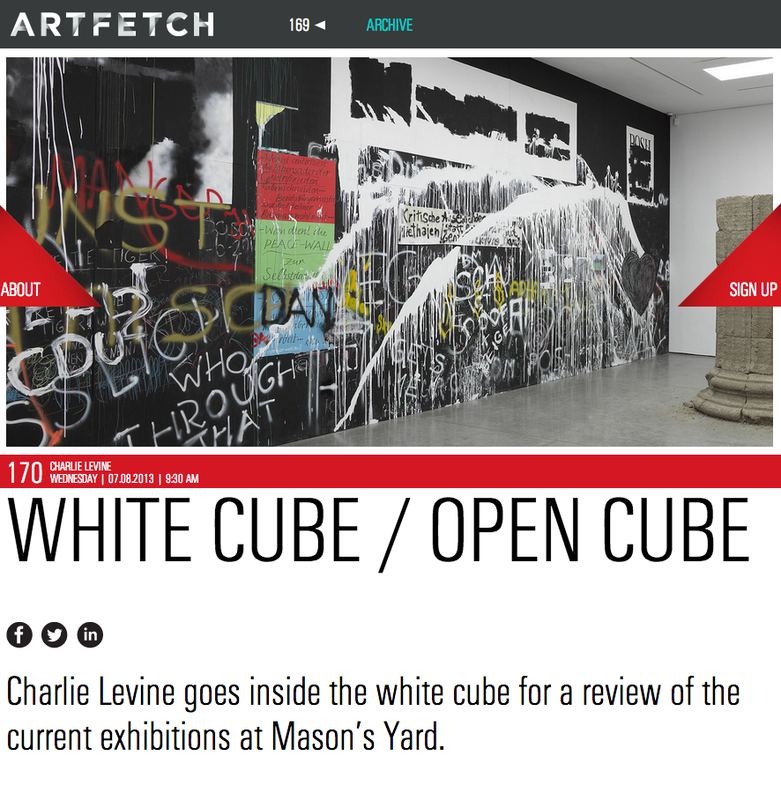 Charlie Levine is Chief UK Artfetcher and Curator.